Blogs were first introduced as weblogs that refer to a “server’s log file.” It was created when web logging hit the virtual market. Since its inception in the mid-1990s, web logging gradually saturated the virtual community making the Internet a viable source of greater information. With the onset of blogging in the industry, personal journalism had been a common ground for people who wish to be known all over the world. However, not famous as this is not a case on being popular or well-known personality. Blogs are created for personal use. Like a journal, people can write their daily adventures, sentiments, and whatever ideas they want to express online. Business blogs are created to advertise the services or products of a certain web site or online business to increase online sales. Moreover, business blogs are also one way of promoting the company so that the other readers will know that a certain company exists online. With blogs, entrepreneurs can establish a name in the virtual market through articles that can be very useful in the reader’s life. Even if your blog is personal, still, it would be better to consider the minds of your readers. You must think of something that would interest them. People who write blogs are not at all confined to their own personal motives. Most of them would love to be “heard” (or read) and would love to be known, in some way or another, even for just a minute. Hence, it is very important to come with a write up that everybody can understand, not necessarily that these people can relate to it but they can understand it. To make your blogging worth the browsing effort of your readers, it would be extremely nice if you will put some pictures in it. It does not necessarily mean you must place a picture of yourself. Any photographs will do if it does not pose danger or insult to anyone who will be reading your blog. Even if you are free to write anything you want to say to the world, still, it would be better to create some write-ups that would be beneficial to your readers. Its information technology that you have there so better be inclined to provide information rather than sheer quirky entertainment. 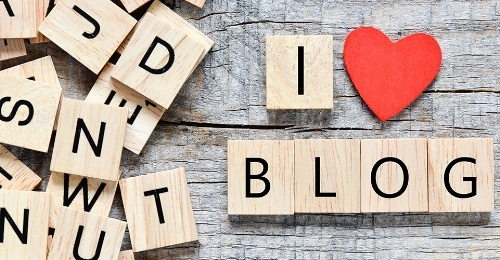 To have an interesting blog, try not to use some highly technical and highfalutin words. It is not a science discourse or a debate that you are making, so better stick to simple facts and short blogs.